For Midterm Elections Day, HeadCount.org teamed up with more than 300 entertainers using their celebrity status to urge fans to #GoVote. Participants, including Rob Lowe, Stephen Colbert, John Legend, Dave Matthews, Fergie, John Oliver, Perez Hilton, Lauryn Hill, and Conan O’Brien, are photographed holding print or digital artwork that displays a “#GoVote” message. #GoVote photos are being collected in a dedicated Facebook album by HeadCount, accessible here. Participants will also use their social media platforms throughout the day to share their support and photograph, with a link to www.headcount.org for relevant information. 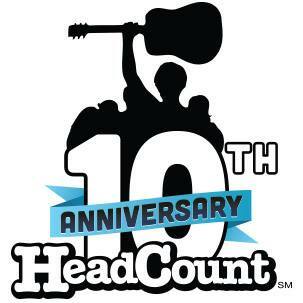 HeadCount most recently registered more than 25,000 voters for this election, through registration drives at live music events, as part of its September National Voter Registration Day push.